So you are a GALAXY Note 5 user and you didn’t buy galaxy Note 5 unlocked because you bought it from a network carrier and you are bored of being attached to that network carrier and want your freedom to pick out any network you want any where in the world and you are thinking how do i unlock my samsung phone , you are at the proper place. We can proudly say that now you can get your samsung Note 5 unlocked permanently with us very effortlessly. We give to you the most low cost and fast sim unlocking offerings, and our fees cant be overwhelmed. The first-rate solution to get unlocked GALAXY Note 5 is via SAMSUNG GALAXY Note 5 sim unlock code. Each cellphone has a 15 digit unique code referred to as imei number. via giving us imei # you may get unlock code to your cellphone, and through entering that code you will have unlocked SAMSUNG GALAXY Note 5. How To Order Network Unlock Code For GALAXY Note 5? Ordering Unlock Code is as easy as 1 2 3. All you need to do is select the network your phone is locked on, write IMEI number of your GALAXY Note 5 and your e-mail address and press the buy now button. Within the time said above we can send you your unlock Code. How To Find IMEI # Of SAMSUNG GALAXY Note 5? You can find IMEI # of your SAMSUNG GALAXY Note 5 by dialing *#06#. The details are discussed about how to find IMEI number of your phone here. How To Enter SAMSUNG GALAXY Note 5 Unlock Code? When you insert a non-accepted sim card an “enter code” menu will prompt, you can than enter your SAMSUNG GALAXY Note 5 Unlock Code and your phone will be unlocked. What Are The Benefits Of Unlocking SAMSUNG GALAXY Note 5? 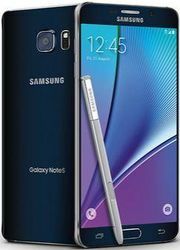 There are so many benefits of getting your SAMSUNG GALAXY Note 5 unlocked, You can read benefits of unlocking your phone here. Shortly, factory unlocked SAMSUNG GALAXY Note 5 will give you freedom of choosing network while increasing re-sale value of your SAMSUNG GALAXY Note 5. What Are The Risks Of Unlocking SAMSUNG GALAXY Note 5? Why Unlock Your SAMSUNG GALAXY Note 5 By LetsUnlockPhone.com? You can check specs of Galaxy Note 5 here.